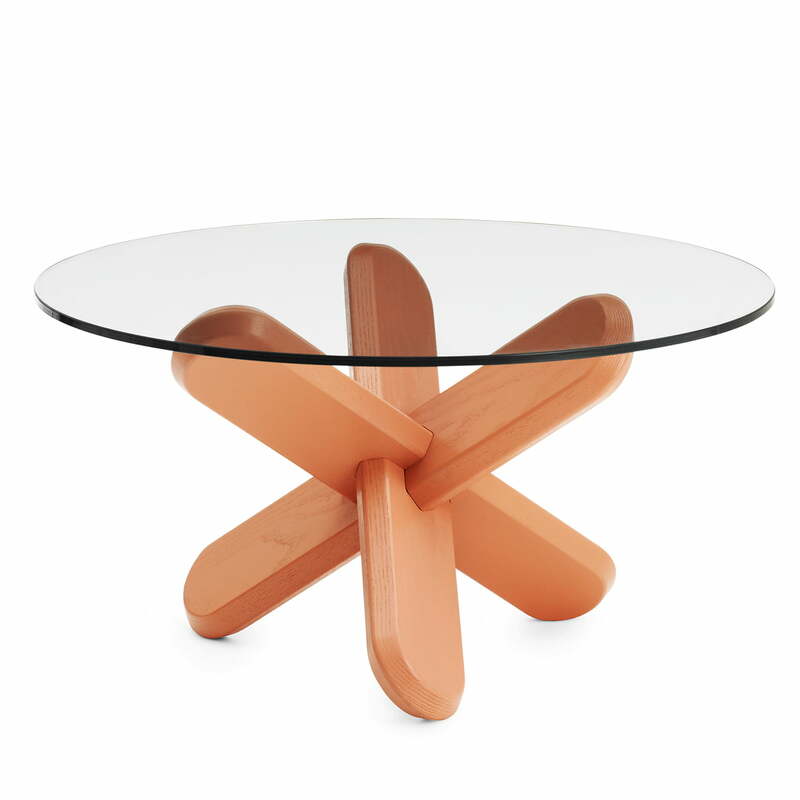 Inspired by antique three-dimensional wooden puzzles, the design team ding3000 designed a coffee table for Normann Copenhagen which is held together without screws or tools – gravity is enough. 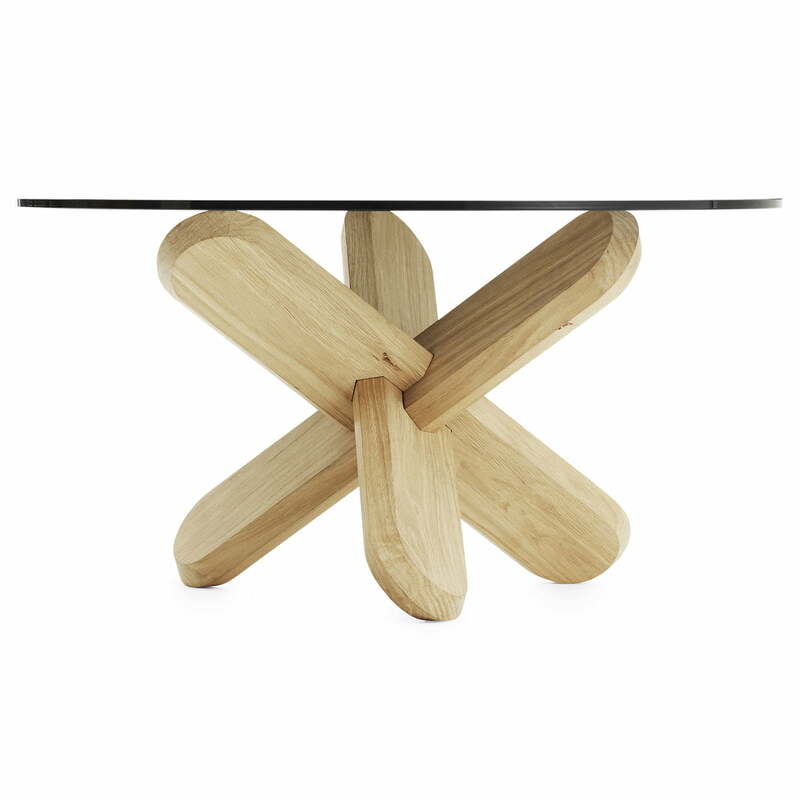 The Ding coffee table consists of just three legs made of oak wood. 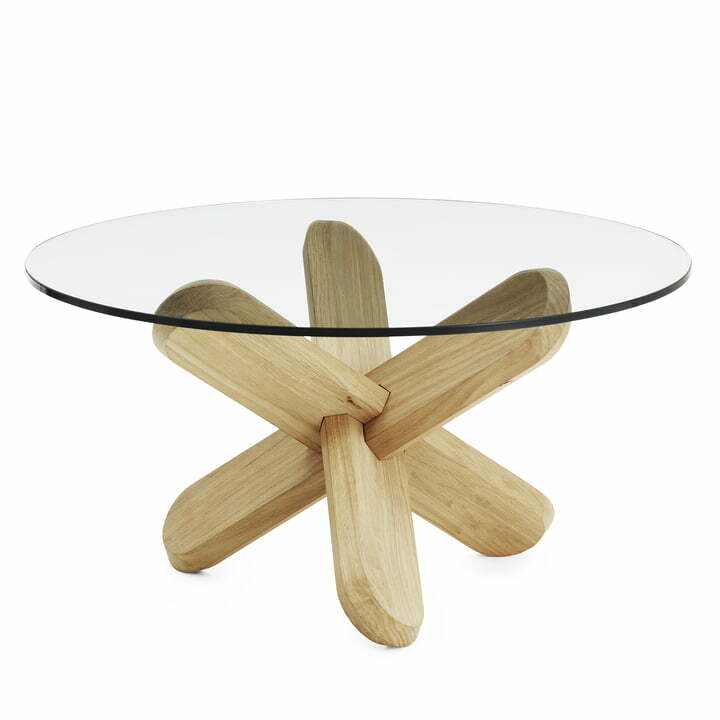 When they are put together, they tie together sculpturally to make a base for the round tabletop. 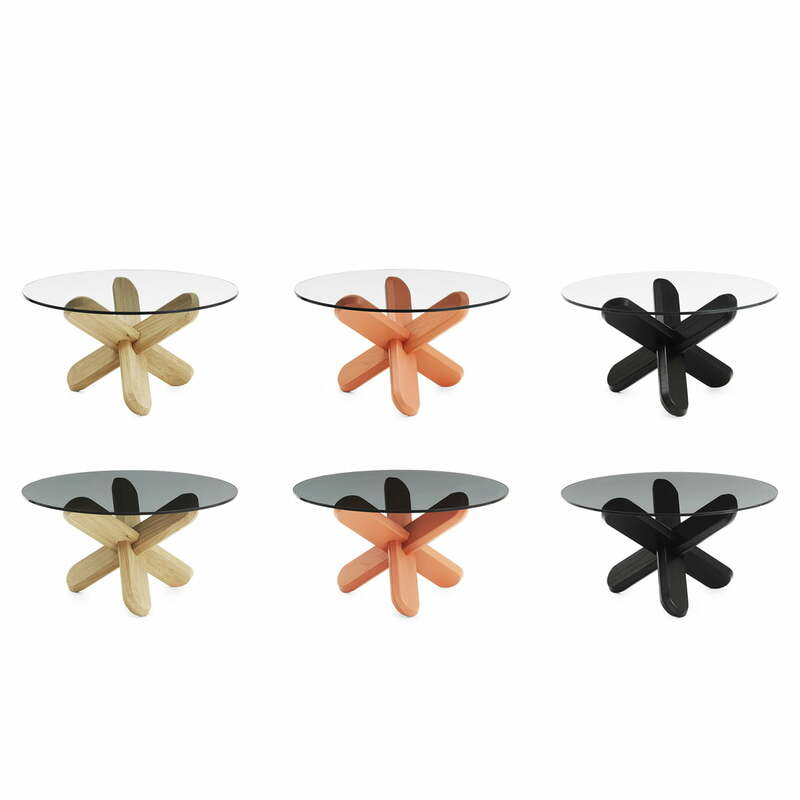 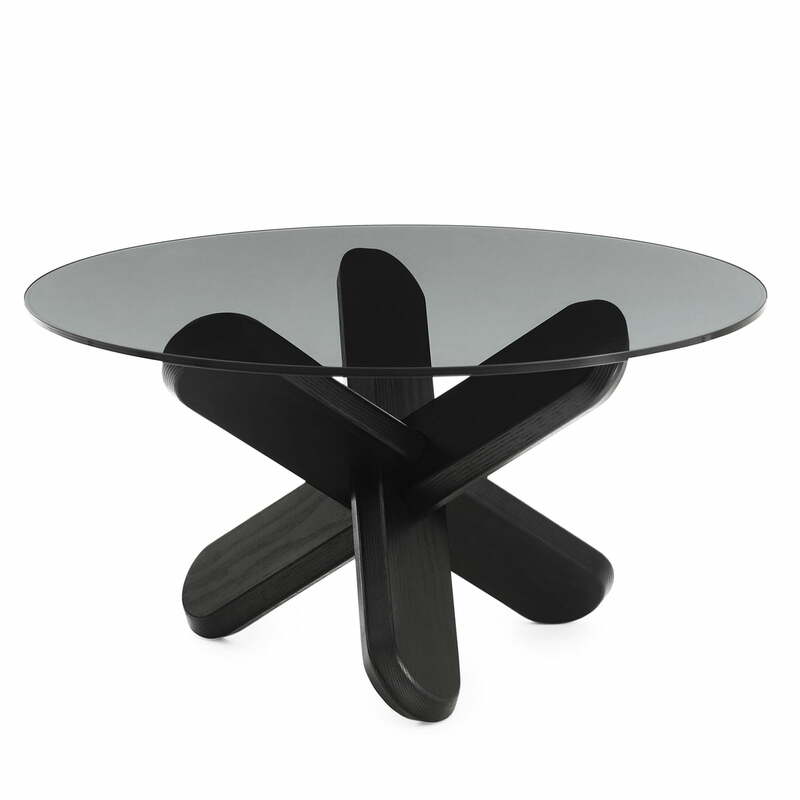 The rounded, inclined legs give the Ding coffee table by Normann Copenhagen a firm grip, safely holding the glass top.